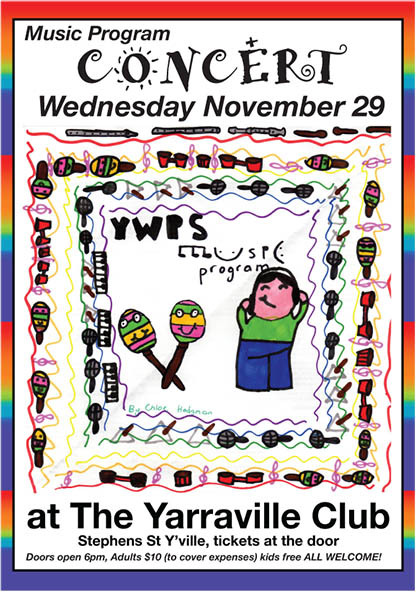 This website is a celebration and showcase of the Yarraville West Music Program and the wonderful music practiced and performed by our students over the past 11 years. 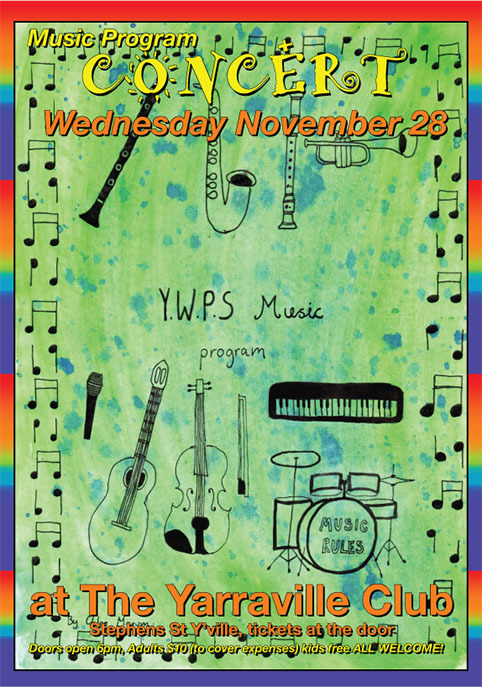 It is intended to be shared by students, parents, family and teachers and staff at YWPS. 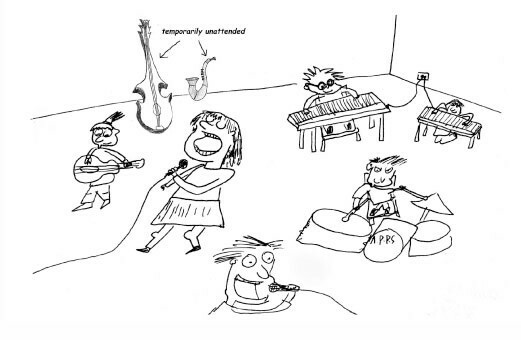 The cartoon below (by one of our students years ago) perfectly sums up what it’s all about! All songs from our recording were performed at the concert! You will be able to listen soon, check “Listen” in the menu.